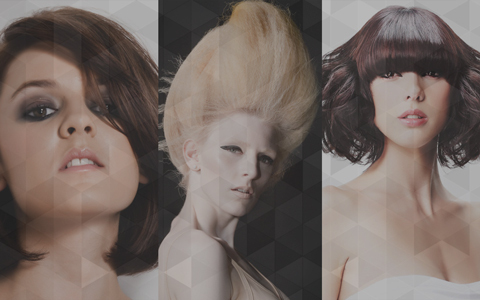 Callam Warrington introduces the basics of preparation before blow drying or styling a client’s hair. It is important to identify anything which may limit the styling and dressing services and products that may be used on a client. The client’s lifestyle may restrict the time they have available to maintain the service or style, or they may have a job or interest that conflicts with the service such as swimming or outdoor activities; or the client may have a hair growth pattern that will influence the choice of style. 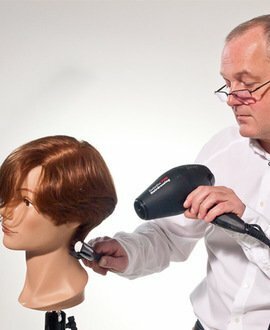 Graham Oglesby's blow-dry tutorial delivers a smooth bevelled blow dry with minimal root lift, enabling the hair to move naturally away from the face and covers the foundations of basic blow-drying techniques. Blow-drying hair is all about the control of the technique and thinking about the finished result and Graham demonstrates techniques including wrap drying to remove moisture; how to build the supporting shape in the outline; and how to smooth the cuticle throughout the internal shape with various sizes of round brushes, depending on the length of the hair. Session stylist and blow-dry expert Snowden Hill shows you how to produce a cool, edgy, luxurious blow-dry with a sultry heavy fringe. Within the blow dry tutorial Snowden incorporates the use of hair tongs through the back and the interior to create volumised texture. 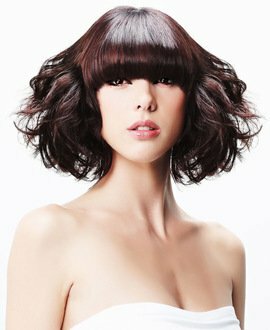 The final result is an opulent and high shine blow dry with a shattered tong process for a cooler, edgier style option. Former Senior Art Director at Vidal Sassoon Academy, Stacey Broughton brings you a tutorial to achieve a classic uniform layer blow-dry delivered on a hairdresser’s training head. Stacey works with hair of an equal length and demonstrates how to blow dry working with the hairstyle’s shape, length and texture. This technique teaches you how to wrap dry using the head shape to understand how to control movement and root direction in a layered shape. The result is a classic salon shape finished with an an even bodied, natural blow-dry. Stacey Broughton's beginner’s tutorial demonstrates a graduated blow-dry on a training head. Graduation is the build up of weight within a shape and is generally shorter on the perimeter, which enhances the shape of the head and provides movement in the hair. With any graduated hairstyle, it is important to follow a correct drying procedure, from the perimeter up, to support the internal shape. This video tutorial teaches the fundamentals for any graduated shape blow-dry and builds a strong productive technique, which will support you throughout your career as a hairdresser.